I am sure you are already experiencing a slow connection to the Internet. That’s because an Internet cable in the sea was cut, again. Saudi Arabia, India, Singapore, Malaysia, Egypt, Taiwan and Pakistan are effected by it the most and it will probably take until December 31st to be fixed. Read more about it at Bloomberg, AFP, BBC and The Associated Press. Anyone else in Saudi Arabia noticed that on some websites you see an older version of the page, maybe a few days old? I noticed that with Sahara. Especially after the undersea cable cut that happened a few months ago. This is very frustrating as it caches RSS feeds, making the download of podcast episodes very frustrating. Do you have problems with web caching with your ISP? Feel free to reply. 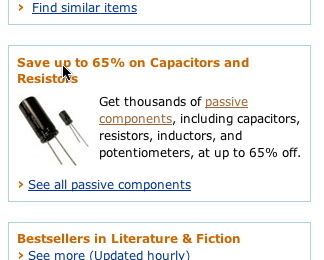 A perfectly legitimate use of tinyurl.com‘s service which is made by Amazon, the leading online e-commerce website. Take your time and post the long url in this unblock request form as well. It is possible for youtube accounts to get compromised in the UAE thanks for the web cache. Reported here first apparently. The issue has been replicated by the editorial teams of both itp.net and Windows Arabic maagzine. In testing, the user profiles that were visible were for users that had logged into YouTube only a few hours previously, suggesting that the pages have been cached by either Google or Etisalat’s own servers, and were somehow being accessed in error through the cache. This is an issue that I also face here in Saudi Arabia with my current ISP Sahara. Where some sites (especially uncommon ones) gets cached and I can see the page from a few days ago. It is worse when listening to podcasts as well, as I have to either modify the URL (by adding a question mark for example) or connecting through another ISP to “refresh” the cache. It is pretty much a source of frustration for me and I hope I never have to deal with unnecessary caching. Well, looks like flickr is no longer blocked in Saudi Arabia. It seems they applied a new censoring policy. Unblocked … again … a bug probably ? ?